Earn college credits for your degree in half the time and for half the cost. Distance Learning Systems blends the convenience of online education with the structure and support of traditional education, but with lower costs. We create a customized education solution for you so that you get the most affordable, flexible, and fastest path to earning your degree. 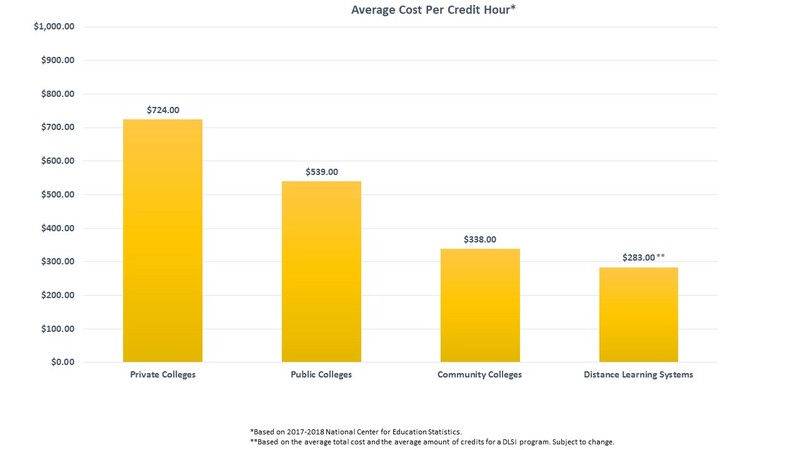 We’ve compared our tuition to the most common traditional education programs for earning a degree so that you can see the difference based on a per credit hour cost.